Convert WAV to FLAC automatically. 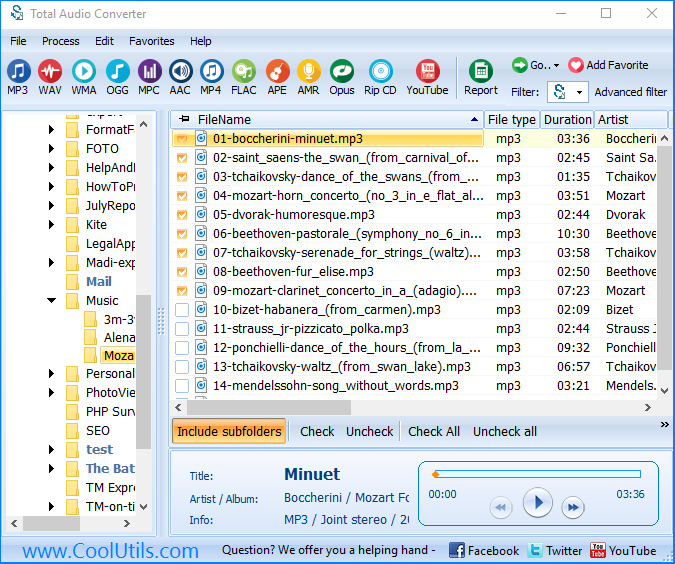 You are here: CoolUtils > Total Audio Converter > Convert WAV to FLAC automatically. WAV, less frequently referred to as Waveform Audio File Format, is a very popular Microsoft and IBM file format, which is used to store and play audio files on computers. Even though WAV files can easily be opened with such programs as Microsoft Windows Media Player, Roxio Creator 2012, Nullsoft Winamp Media Player 5., Xilisoft Video Converter Ultimate, RealNetworks RealPlayer, and VideoLAN VLC media player, this format does not guarantee the ultimate quality of sound. The format that does is FLAC. It stands for Free Lossless Audio Codec, and is an audio compression codec that uses lossless compression technology. This format is very popular among users, which makes many of them want to convert WAV to FLAC. 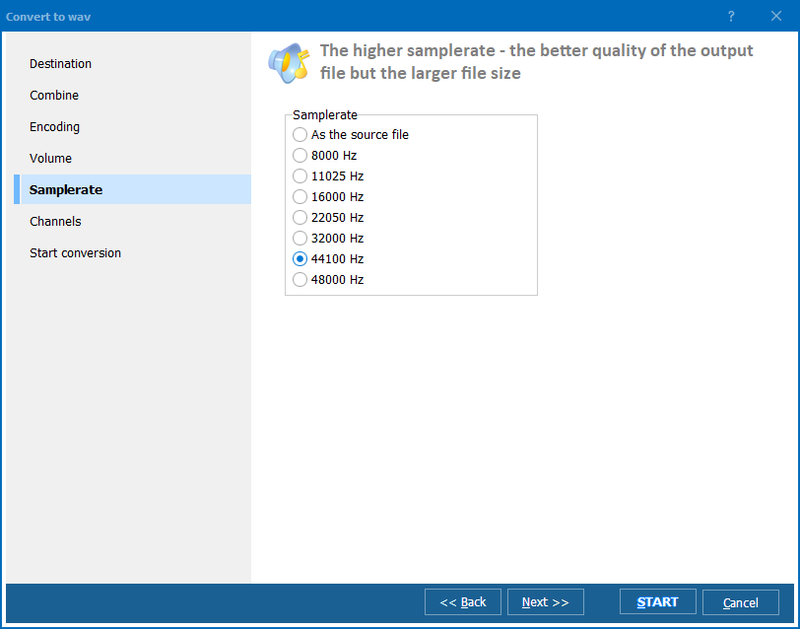 There are 2 ways to convert WAV to FLAC: either use WAV FLAC converter or get audio converter. The former tends to be cheaper of even free, while the latter tends to be more functional. 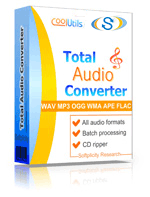 We suggest you try Total Audio Converter. This tool combines the low price of simple converters with functionality of expensive software. Download the program from the official website of CoolUtils. We suggest you try its trial version first. It’s active for 30 days and requires no payment or obligation. Install the program. The installation process is similar to all other applications. Launch the program from the command line, by double-clicking on its desktop icon or by selecting it from the Start menu. 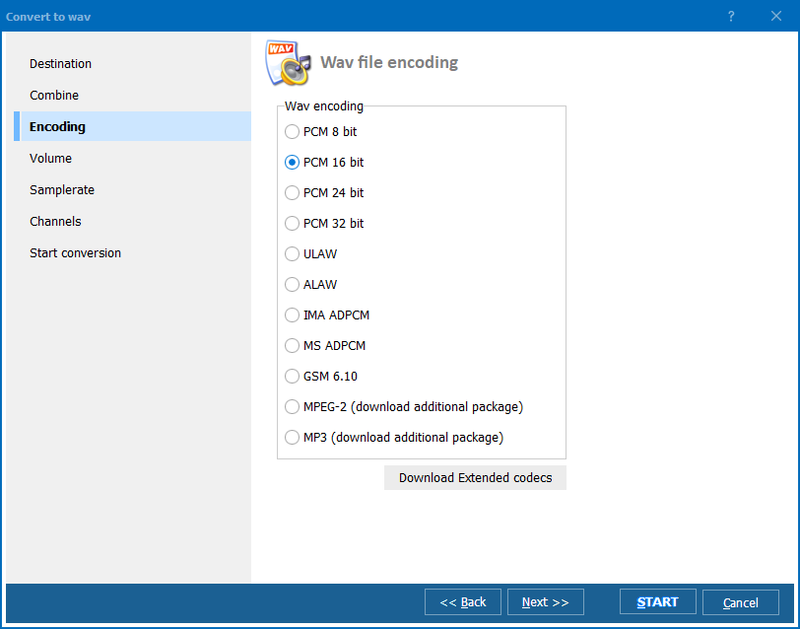 Select WAV audio files you want to convert from the tree of folders automatically generated by Total Audio Converter. Finally, set FLAC as target format and click “Start!” to begin conversion. 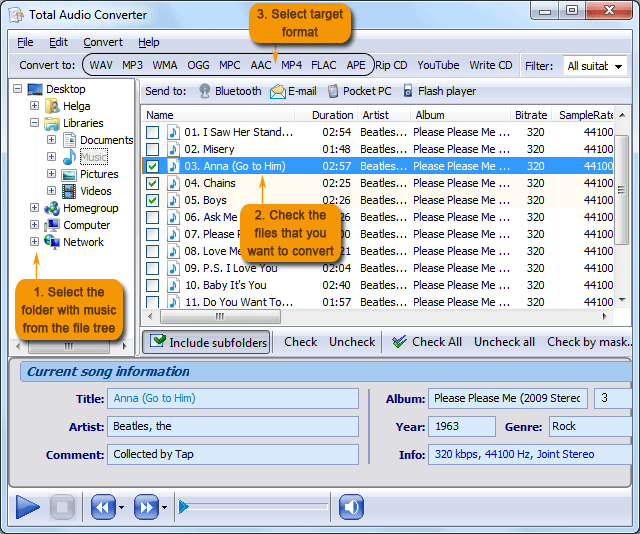 Get the latest trial version of Total Audio Converter now! It is free, safe and requires no registration!